The Wusthof Gourmet 6.5 in. Slotted Fish Turner has a very sturdy blade. The slots allow grease or other drippings to drain off easily and to remain in the frying-pan. 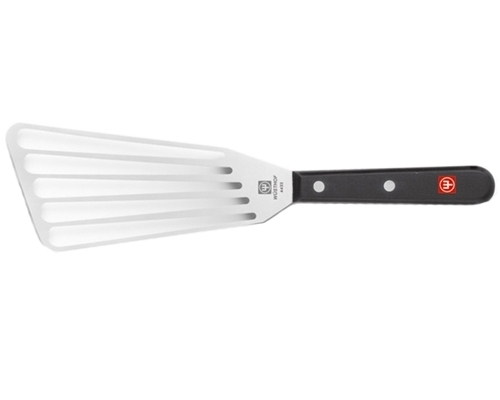 Spatula Length: 6 1/2 in. Construction: Stainless Steel with a synthetic handle.